Driving around East LA the last couple of years I noticed that there were always two or three cemita trucks that parked on Whittier Blvd near La China Poblana, a well-known cemita landmark. 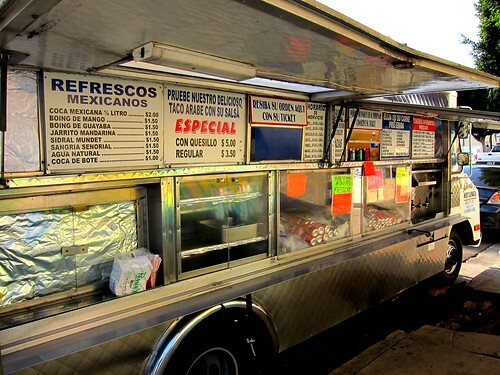 I would see these trucks but never bothered to pull over because cemitas are sort of one and you're done. 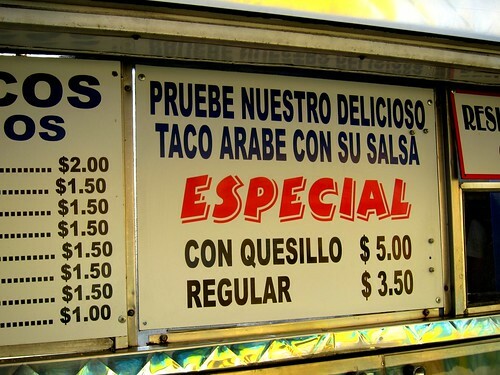 But when I saw a tacos arabes sign on one of them I figured it was well worth checking out. 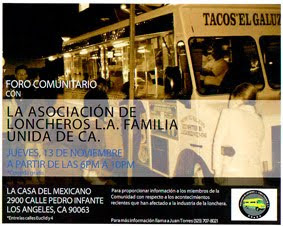 Cemitas Tepeaca parks at 3521 Whittier Blvd in a working class part of East LA where car washes, industrial shops, and mercados line the blvd. At night you’ll find a taco table or two but during the day it’s all about the cemitas, a sandwich that when made right puts your favorite hoagie to shame. 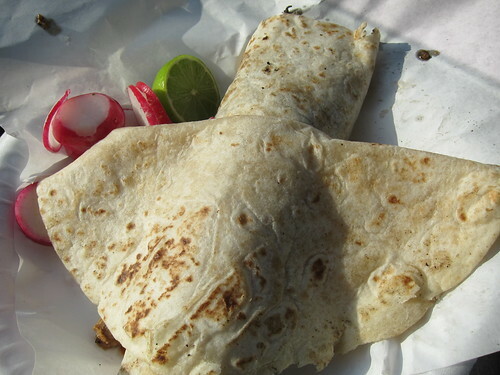 Traditional tacos arabes have shawarma style meat wrapped in a flour tortilla. These weren’t traditional but I still enjoyed them. The pork,grilled onions, and sauce had the flavor and heat of a good stir fry. The woman taking my order warned me that the sauce was spicy but it wasn’t very spicy. I get that all the time though. He’s a white kid with blond hair they think, he can’t possibly like spicy, give the guero the mild salsa. But I smile and say that I like spicy and they say, oh the guero likes spicy, give the guero spicy. My plate came with one taco arabe ($3.50) and an extra tortilla to make another taco. Oh yes, I thought, this is what I get for asking for spicy, an extra tortilla to temper the heat. They are worried about me, I thought. But when there was no spice I figured they were always served this way. I easily made another taco and had some meat left over to scoop up with my fingers. 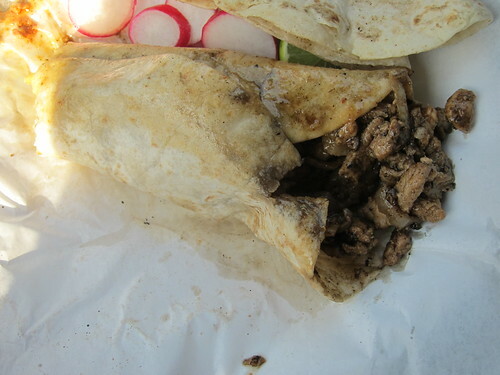 Sometimes I’ll be standing at a truck eating my tacos and all that is left is the droppings of meat and onions and I think to myself if it is worth it to use my fingers. There have been plenty of times where I have concluded that it was not, and then tossed the plate into the bin. But today it was, and it wasn’t just because no one else was around. Sometimes a taco is good enough that it’s ok to violate social etiquette even if no ones watching. My only venture to Taco land is via Taco Bells. Unfortunately, I haven't encountered much taco stalls to be adventurous and try some. Lucky you! But the ratings you gave is not that high. YES, this truck is awesome! But you're missing out if you don't try the cemita. Cemita de milanesa con quesillo with a bottle of coke, pretty awesome meal I say. I just had Korean BBQ last night, and I still think I could eat a few of those tacos arabes! I love eating tacos. I like how well the ground pork and other flavors are well blended. Well, it's uneasy to eat it but it's worth having one.